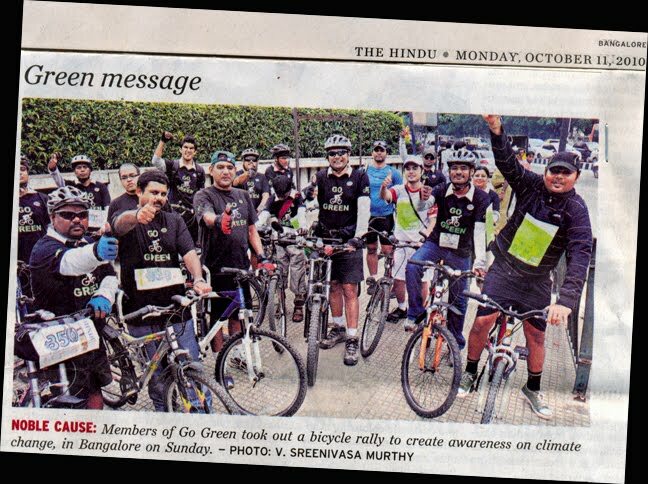 GoGreen Campaign special Ride 10/10/10 - GGI-Group size: 4000+ Professionals, Increasing on day to day basis, Come & join us 2 serve Mother Nature. 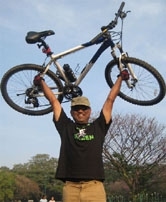 Started from RIS junction @ 7:30am and reached Cubbon Park by 8:00am where our other participants were waiting 4 us. 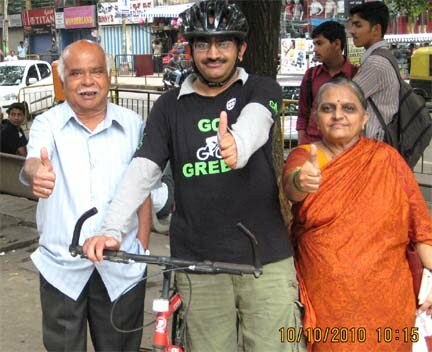 totally their were around 40 participants in this special event. 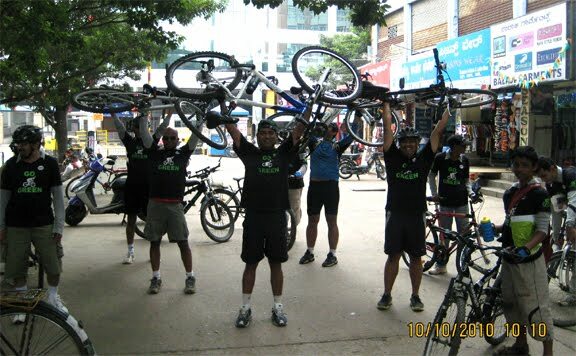 We moved on to MG park road where their were another 10 people from different organizationals who were waiting for us. 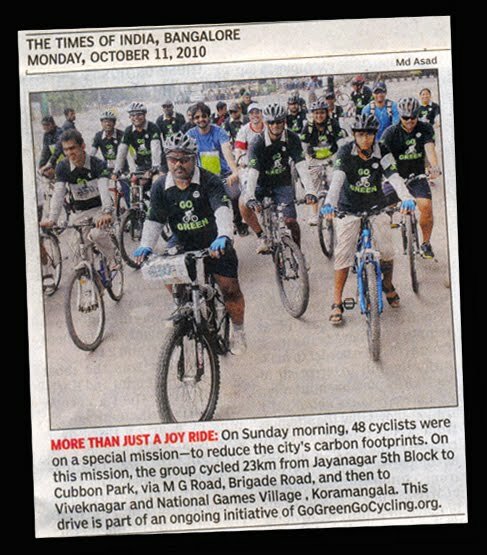 We started the ride @ 8:30am as decided earlier meanwhile we saw people rushing from all the direction to watch Cricket match @ China Swamy stadium hence we felt we would take advantage of presence of many people around the stadium finally decided to go around the stadium and then took off as per our defined route. 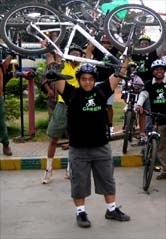 On 10/10/10, in every corner of the globe, 350.org r implementing solutions to the climate crisis. 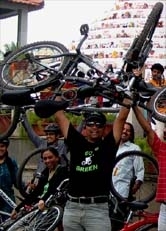 From solar panels to community gardens, wind turbines to bike workshops, like wise today's event is dedicated towards climate change and a effort to reduce Carbon foot print & at the same time putforth our Green Initiative to fellow citizens.